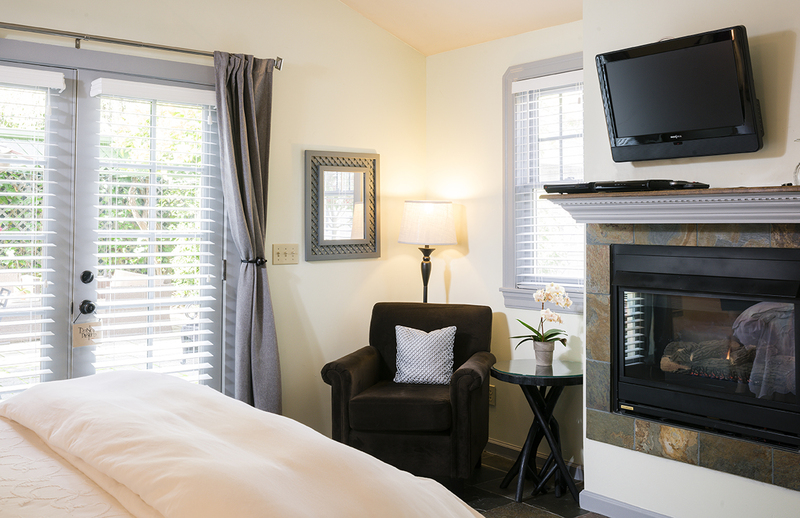 Entering through our lush garden patio, or a charming private patio, you will be greeted by the private entrance into one of our cozy adjoining cottages. 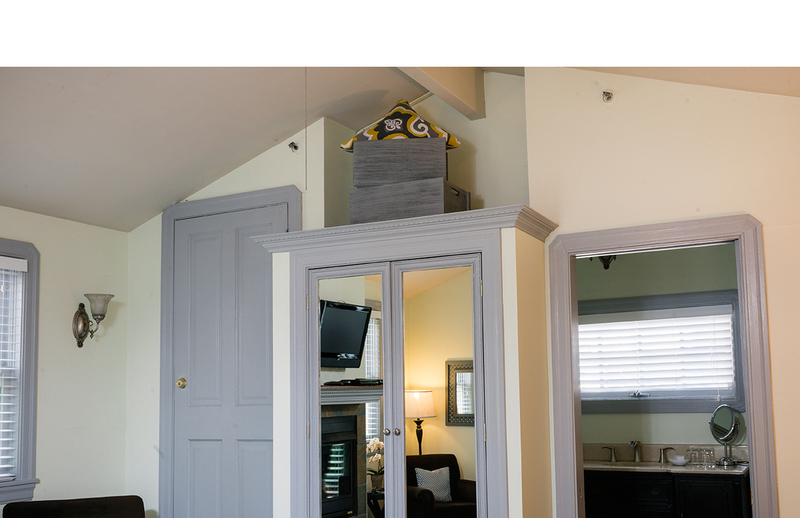 While one boasts cool blue walls and honey-colored hardwood floors, the other creates an intimate setting with elegant slate floors and gray and yellow color palette. 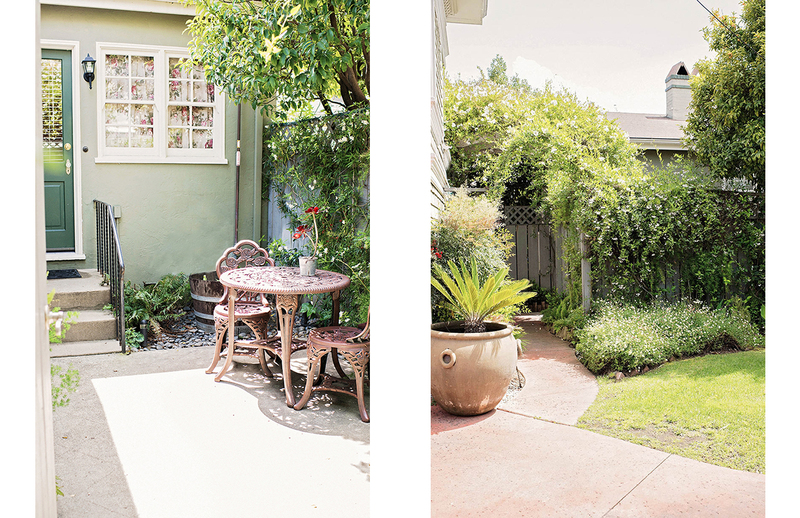 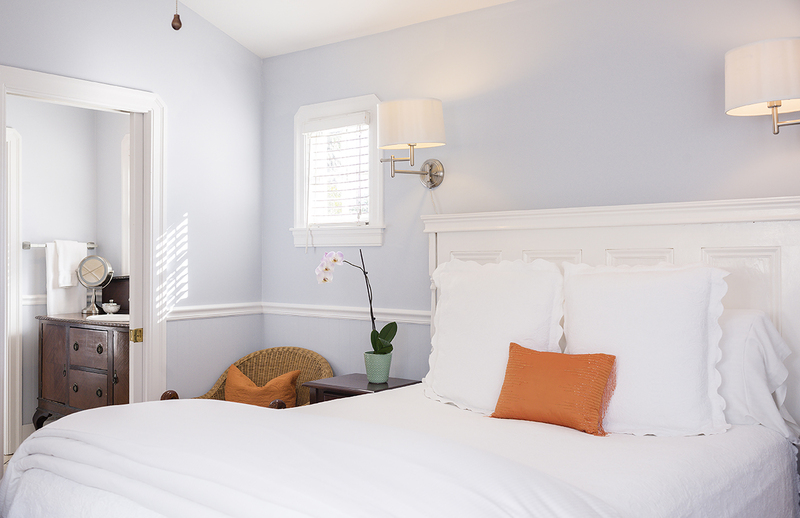 These two cozy cottages represent contemporary chic setting for your private retreat. 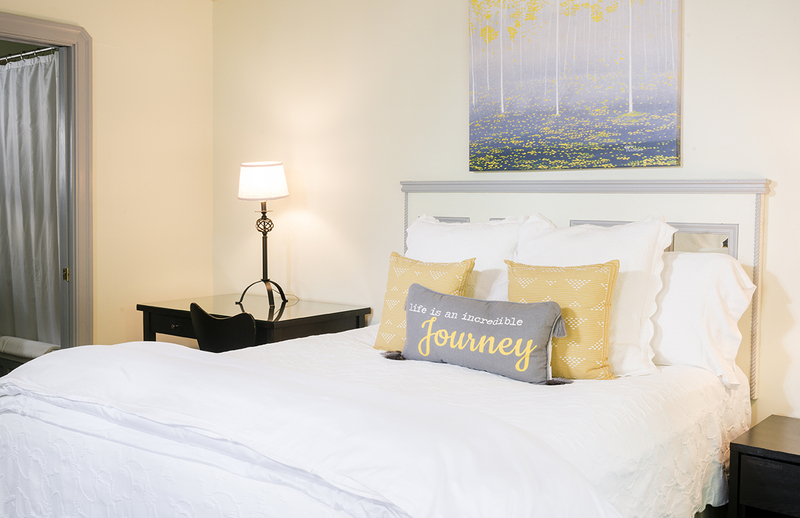 These romantic hideaways feature queen-sized beds with crisp, white Egyptian cotton coverlets and plush down comforter. 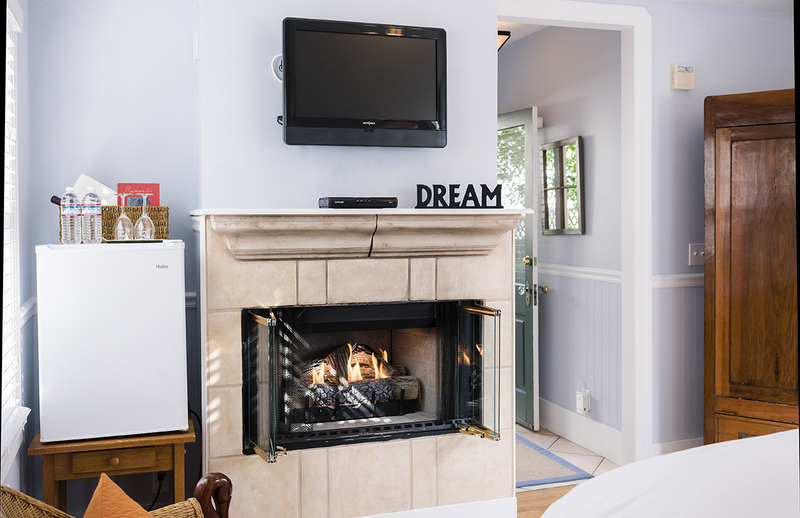 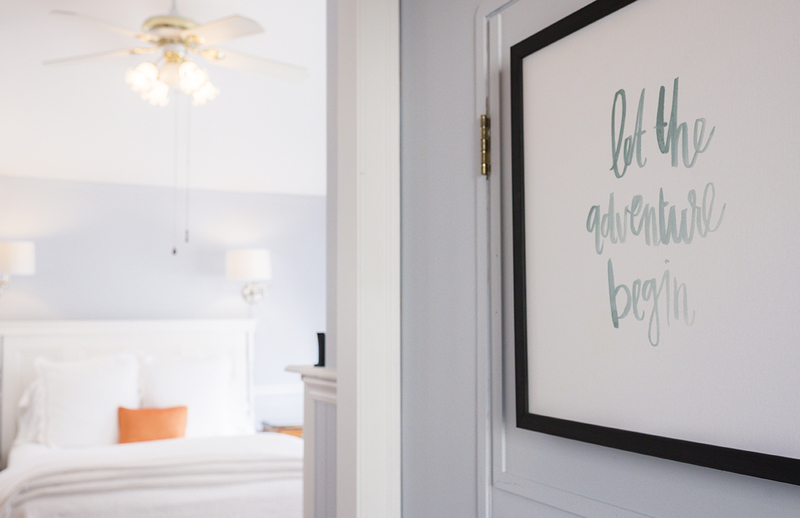 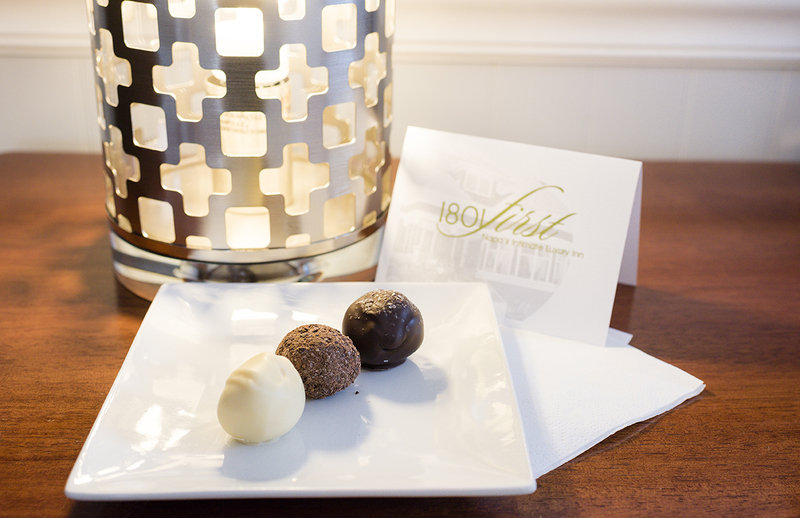 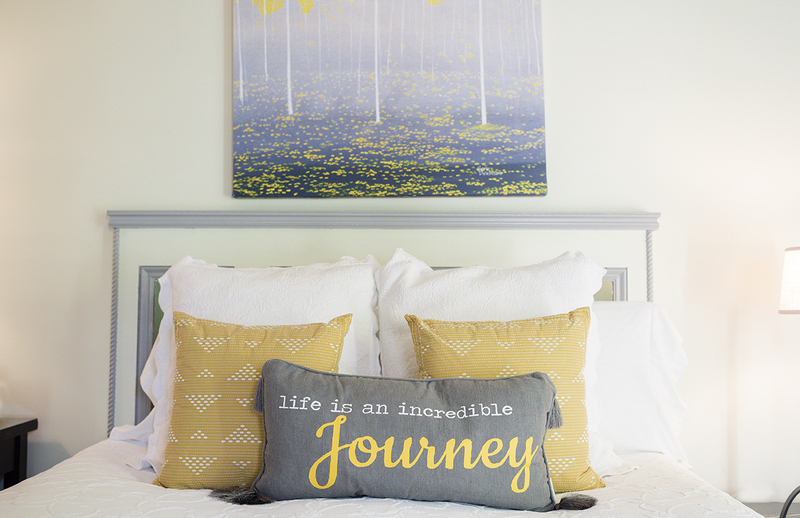 Other welcome touches include romantic fireplace, HDTV, iPod docks, and in-room coffee amenities. 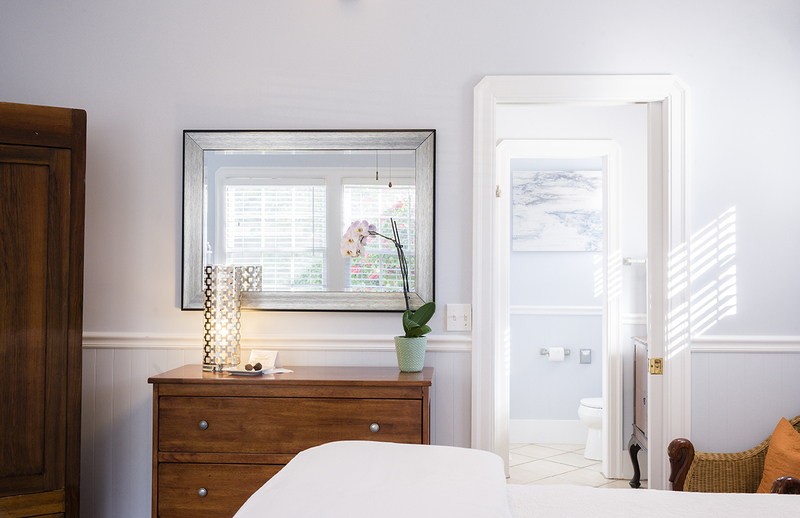 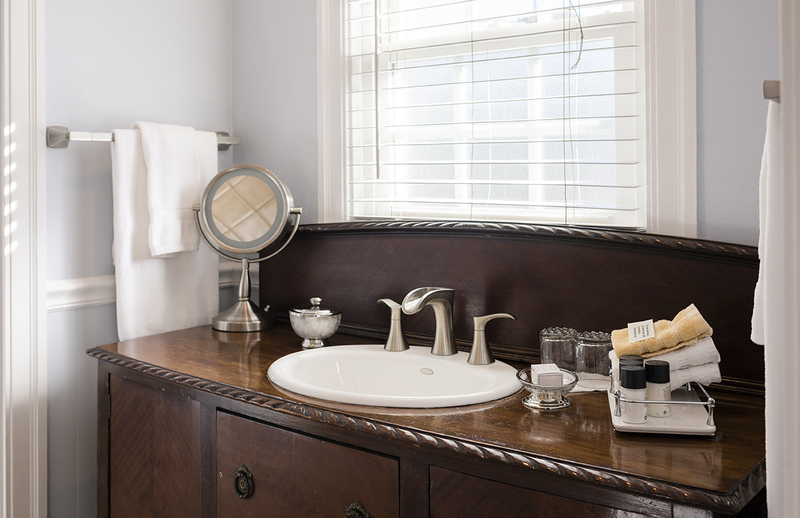 The bathrooms boast single person Jacuzzi tub/showers, antique vanities and luxurious bath products and robes.